SHR 18KY EARRING BACK FOR CALIBRATION! 3. Calibrate KGA with known piece of 18K, set meter to center of white zone. 5. Replace Cap to Wand and Turn KGA off when done. 3. Calibrate Unit with known piece of 18K, set meter to center of white zone using large knob. 6. 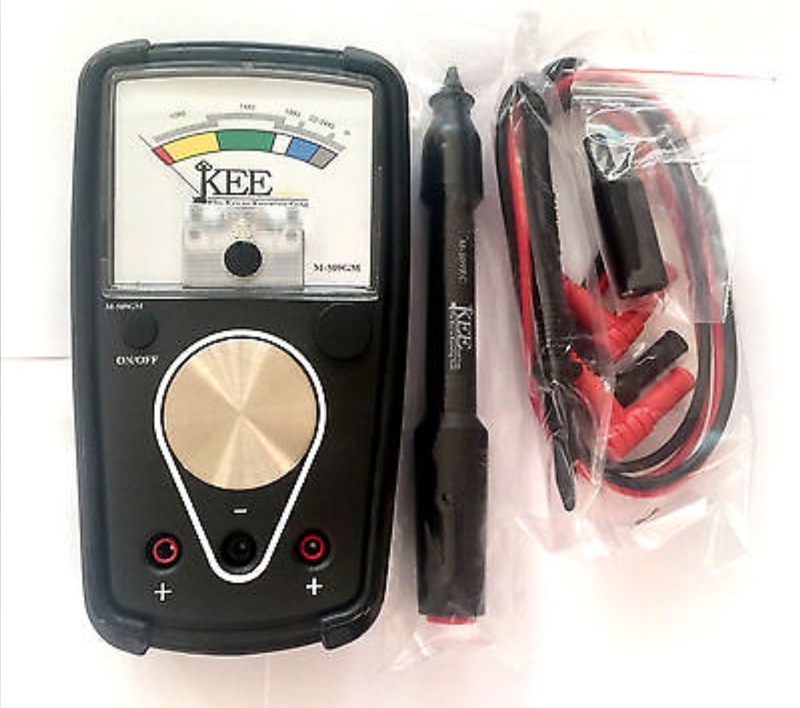 If the meter will not calibrate at room temperature, change the battery. 1. Turn KGA off and remove testing wand and wires. 2. Remove protective rubber cover. A revolutionary, affordable and user friendly gold/platinum purity analyzer. This meter is a quick and easy nondestructive way to test gold and platinum. Test gold alloys from 10K to 24K without having to push a color button. Uses no messy gels or chemicals. Easy to read analog meter movement allows each individual user, after calibration, to become very efficient and comfortable testing gold on his/her meter. The testing probe refill comes with a new cap and polishing tip and is easy to replace. This allows the user to get many years of service from one meter. Uses one AA battery. Calibrate with 18K.